Audio Stories: Audio Stories and Audio Books Podcasts for Kids. Our Audio Story collection features a read-aloud story of our most popular stories for kids. Pinocchio Audio Story Podcast for Kids No Reviews Posted. 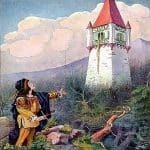 Pinocchio Audio Story Podcast for Kids. If Pinocchio is to become a Real boy he needs to prove to the Blue Fairy he can be honest, brave and true. Akbar and the Half-Reward Audio Story Podcast for Kids No Reviews Posted. Akbar and the Half-Reward Audio Story Podcast for Kids. Akbar gives a reward to Mahesh Das who saved him but someone else demands half. Two Brothers Audio Story Podcast for Kids No Reviews Posted. The Ugly Duckling Audio Story Podcast for Kids No Reviews Posted. The Ugly Duckling Audio Story Podcast for Kids. A Mama Duck is proud when her six ducklings hatch from their eggs. But one duckling does not look like the others? Rumpelstiltskin Audio Story for Kids. A miller tells a tale that his daughter can turn straw into gold. A strange little man is willing to help…for a price. Guess his name and he will be gone…but what is his name? The Little Mermaid Audio Story Podcast for Kids No Reviews Posted. Beauty and the Beast Audio Story Podcast for Kids No Reviews Posted. 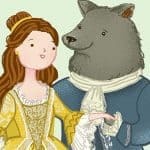 Beauty and the Beast Audio Story for Kids. The Classic Fairy Tale of Beauty and the Beast: A girl, Beauty, is doomed forever to live with the hideous beast; can she learn to love him? Rapunzel Audio Story Podcast for Kids No Reviews Posted. The Emperor’s New Clothes Audio Story Podcast for Kids No Reviews Posted. 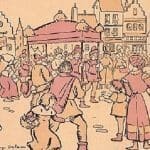 The Emperor’s New Clothes Audio Story for Kids. The Emperor is fooled into believing he is wearing magic clothes which can’t be “seen”. Mulan Audio Story Podcast for Kids No Reviews Posted. Mulan Audio Story for Kids. Based on the Chinese “Ballad of Mulan”, a legend tale about a young girl who goes in disguise as a boy and joins the army in her brother’s place. A Girls of Courage Tale.